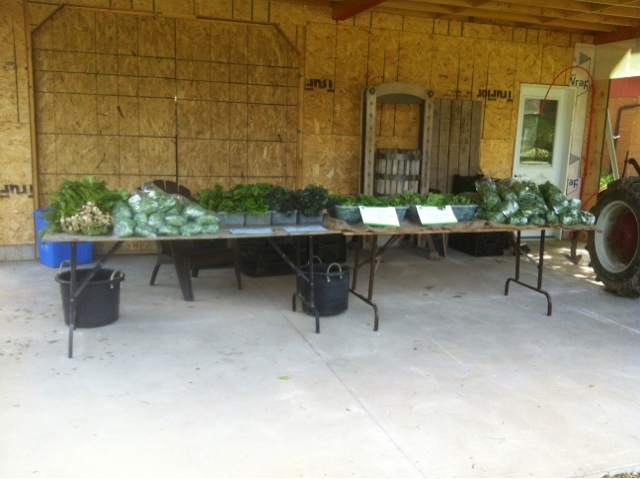 We have just finished up the second week of our summer CSA program. We are really pleased that we have had a great selection of greens to start off the season. So far we have had Swiss chard, spinach, buttercrunch lettuce, pea shoots, kale, and a small selection I turnips and radishes. 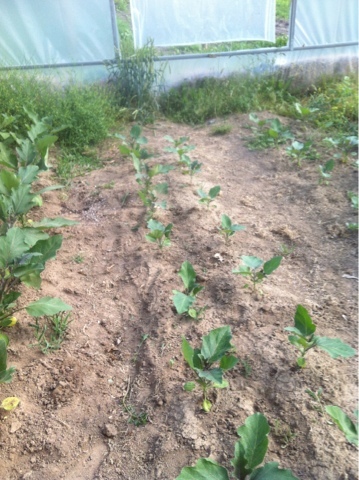 Next week we are hoping to start the harvest on our snow peas. Our summer squash are also starting to show signs of small fruit. Almost every week now we will see something new popping up in the garden. 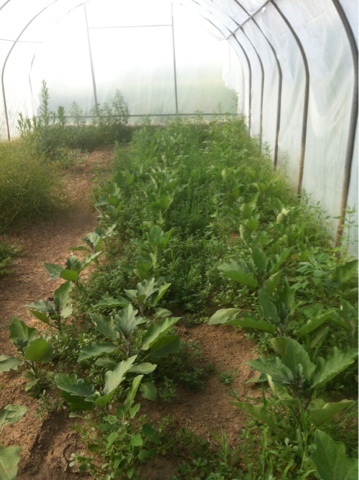 Below you will see a dreadfully weedy picture of our hoop house. Despite the heat Lilliana and I weeded the entire thing We did the work at 9 am but it was already well over 30 degrees. The hoop house will now be moved so the eggplant can finish their growing outside.